At this point in the process of creating professional development for teaching online, the “planning” stage has taken place. A faculty development model has been envisioned and articulated, and the overarching decisions have been made. The next stage involves turning that vision into reality, in which the model and the decisions selected in the planning stage become realized. This section targets design and development strategies by exploring the tools, techniques, and strategies that have been shown to promote effective development regardless of the modality in which it will ultimately take place. The objective of this section is to share a diverse array of options within these five main recommendations that you can peruse. These options will relate to the overall faculty development model which best fits your particular needs, along with logistical factors. Even when they truly desire to participate in professional development, instructors lead busy lives and often juggle multiple commitments. For this reason, providing incentives for faculty participation is often necessary. Adult learners tend to prefer to be in control of their own learning, so it is very important to include faculty in the analysis, design, implementation, and review of the curriculum, along with other stakeholders. Once incentives are selected, it is time to design the training. The purpose of explaining core tenets of training is not to explain exactly how to set up the design and delivery, but rather to use techniques that complement the adult learner. An important component of preparing faculty to teach online is teaching them how to properly use the teaching and learning tools in an effective and meaningful manner. Providing instruction in the required technologies could involve the most common forms of synchronous and asynchronous training to teach faculty technically and pedagogically how to use the technology, and discusses when they are most appropriate. This page offers strategies for supporting faculty on their journey to explore high-quality, affordable content. Compare and contrast open educational resources (OER) and low-cost affordable options, as well as identify the key questions that guide faculty on this journey. Assessment of faculty development programs is crucial in providing feedback on performance with the intent of consistently improving the program as a whole, to foster continuous improvement through ongoing assessment. 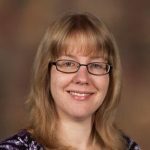 Aimee deNoyelles is an Associate Instructional Designer at the University of Central Florida. She specializes in quality course design, textbook affordability, and online discussions.